The High Judicial Council (HJC), an independent and autonomous body established under the Constitution of Serbia to guarantee and ensure the independence and autonomy of courts and judges, met on 25 January 2018 (when it issued a press release) and 13 February 2018 to consider the Working Draft of Amendments to the Constitution of Serbia released by the Ministry of Justice. The HJC adopted a set of opinions and recommendations concerning these draft amendments; these are listed in this document for consideration by courts, court staff, the public at large, as well as the government authorities that initiated the constitutional reform and international bodies participating in this process. 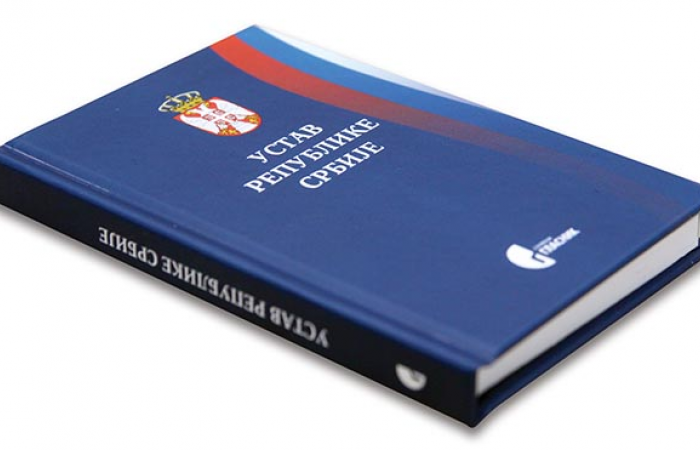 On 22 January 2018, the Ministry of Justice of the Republic of Serbia published on its web site the Working Draft of Amendments to the Constitution of Serbia and a separate document subtitled ‘Statement of reasons (opinions of the Venice Commission)’. The introduction to this document states: ‘In accordance with the commitments undertaken by the Republic of Serbia in the Chapter 23 Action Plan, the Ministry of Justice has developed a Working Draft of Amendments to the Constitution of Serbia (“the Working Draft”). In designing these amendments, the Ministry was guided primarily by the extensive body of standards developed by the Venice Commission, as well as by written contributions received during a round of consultations organised by the Ministry of Justice and the Serbian Office for Co-operation with the Civil Sector from July to November 2017. The Working Draft, developed in collaboration with Council of Europe Expert James Hamilton, will serve as the starting point for public consultation on amendments to the Constitution of Serbia, planned to take place in February and March 2018, after which opinions of the Venice Commission will be sought on the amendments’. The HJC is, of course, aware of the commitments undertaken by Serbia in the Chapter 23 Action Plan, especially with regard to the development of an outline set of changes to the constitutional framework governing the judiciary, and the consultations with the community of experts that ought to have taken place in 2017. We are also acquainted with the fact that the Action Plan makes the Ministry of Justice responsible for initiating this effort, and appreciate the role that prominent experts of the Venice Commission will play in this process by providing their opinions. At the same time, we are certain that the key objective of all stakeholders in this constitutional reform, both those tasked with initiating it and those responsible for its implementation, is to ensure its arrangements appropriately regulate and improve the judicial system and the judiciary to suit the needs of all Serbians, and meet the requirements identified prior to the enactment of the Chapter 23 Action Plan by Serbian authorities, in particular the judiciary, following internationally acknowledged democratic standards. However, the arrangements proposed by the Ministry of Justice do not follow the guidelines laid down in the 2013-2018 National Judicial Reform Strategy (as enacted by the Serbian Parliament on 1 July 2013). Neither do they take into consideration the opinions of a working group of constitutional law professors voiced in the Legal Assessment of the Constitutional Framework Concerning the Judiciary, or the conclusions of a public debate that took place within the Serbian judiciary in late 2016. Instead, the proposed amendments demonstrate an intention to diminish the current extent of guarantees of the independence and autonomy of courts and prosecutors’ offices. A number of key issues raised in the Legal Assessment of the Constitutional Framework Concerning the Judiciary have not even been referred to, let alone addressed. This is particularly the case in the document titled ‘Working Draft of Amendments to the Constitution of the Republic of Serbia, with Statements of Justification (referencing opinions of the Venice Commission)’, which provides only terse and incomplete statements of reasons for a number of amendments whilst referencing a number of opinions of the Venice Commission. 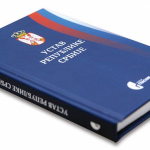 Moreover, Amendments VI to XIII cite articles of the current Constitution of Serbia that do not correspond to the titles or content of the amendments sought. One disputed issue that has gone unaddressed by the proponents of these amendments is the constitutional principle of the separation of powers, as referred to in the mutually contradictory provisions of Articles 4.3 (‘The relationship between the three branches of government shall be based on balance and mutual control’) and 4.4 (‘The judiciary shall be independent’). Moreover, additional problems that need solving go beyond the scope of legislative analysis. For instance, any legislative assessment of the constitutional framework governing the judiciary may only be part of a broader review of the constitutional system as a whole. Also, systemic guarantees of judicial independence ought to be considered in parallel to the rules on the accountability of political authorities for the creation of a societal environment wherein the judiciary will operate independently. Finally, the introduction of training at the Judicial Academy as a mandatory precondition for initial judicial appointment ignores the Working Group’s view that the Judicial Academy should not be referenced in the Constitution. Particular attention should be paid to the fact that the Draft Amendments envisage the enactment of a Constitutional Law to Implement Amendments I to XXIV to the Constitution of Serbia, which is to take effect on the day of their promulgation. Judges and prosecutors have had particularly poor experiences with the interpretation and execution of the previous Constitutional Law, which mandated the re-appointment of judicial officers in 2009, and as such the Draft Amendments ought to have presented an initial text or draft of this Law to the public at large. As the executive’s proposal includes changing the name of the supreme court, it should also state whether the amendments also call for shortening of the terms of office and/or re-appointment of judicial officers. In accordance with its remit, the HJC has developed a set of comments, proposals, and suggestions with regard to draft Amendments I to XIV proposed by the Ministry of Justice. These are presented below. A considerable portion of the Draft Amendments contravene the 2013-2018 National Judicial Reform Strategy (V.2), and the Chapter 23 Action Plan, which stress the need for ensuring independence of judicial officers from political interference. The amendments could also jeopardise the constitutional principle of the separation of powers. The HJC believes that the many sound proposals that promote the independence and autonomy of courts and judges (such as the sole jurisdiction of the HJC for appointment and dismissal of all judges and court presidents; abolition of three-year trial appointments for new judges; appointment of judge members to the HJC following nomination and vote by their peers, etc.) are completely devalued by other proposed changes, especially those that govern the composition of and decision-making by the HJC. Amendment IX, to be read in conjunction with Amendments I, II, XI, and XII, reduces the number of members of the HJC to ten (from the current 11, which, being an odd number, is more conducive to effective decision-making, as most commonly seen in other jurisdictions). Five of these (instead of the current six) are proposed to be appointed by Parliament from the ranks of judges; the other five (up from two) are to be ‘prominent lawyers’ appointed by Parliament at the proposal of the parliamentary Justice Committee. The President of the HJC is envisaged to be elected from the body’s non-judge members; decision-making requires a majority of at least five, including the President (who has a casting vote). As such, the HJC can make decisions even if none of its judge members vote in favour, including in matters that crucially affect the position of judges (such as appointment, dismissal, disciplinary accountability, and remuneration). This arrangement will increase the influence of the executive on the judiciary. The very name of this body, High Judicial Council, indicates its role as the supreme institution for courts and judges. Since judges should not be represented by non-judges appointed by the executive, the proposed make-up of the HJC makes it unable to guarantee the independence and autonomy of courts and judges. These provisions jeopardise the fundamental constitutional principle of the rule of law, put into effect through the separation of powers and judicial independence (Arts. 3 and 4 of the Constitution of Serbia), and contravene European standards as stated in Opinion No. 10 (2007) of the Consultative Council of European Judges and the 2015 Recommendations of the Council of Europe’s GRECO Committee. The term ‘prominent lawyer’ is quite vague and its interpretation depends entirely on whoever does the interpreting; as such, it leaves a great deal of room for abuse. The Constitution must clearly indicate the pool of possible non-judge candidates for membership in the HJC. The HJC is the supreme body of the judiciary, tasked with making decisions in all issues affecting the positions of courts and judges and ensuring their independence and autonomy. This constitutionally defined role of the HJC ought also to determine its composition: the majority of its members should be judges, elected directly by other judges to represent them. The HJC should have 11 members, of which seven should be judges directly elected by their peers. The remaining four members can be appointed by Parliament, two from the ranks of university professors of law nominated by academia, and two at the proposal of the Parliamentary Justice Committee following a public call for applications. This is the only structure of the HJC that would allow it to fulfil its constitutional mandate and guarantee judicial independence. · Amendment I.2.3 should be altered by replacing the proposed ‘five members of the High Judicial Council’ with ‘four members of the High Judicial Council’. · Amendment II.4, Line 2, should be altered by replacing ‘five’ with ‘four’. · Amendment IX.1 should be altered to stipulate that the High Judicial Council will have 11 members, 7 (seven) judges elected by judges, 4 (four) holders of degrees in law, of which 2 (two) from the ranks of university professors of law nominated by academia, and 2 (two) at the proposal of the Parliamentary Justice Committee following a public call for applications. · Amendment IX.2, Line 1, should be altered by replacing ‘five’ with ‘four’. · Amendment XI.2 should be altered to read: ‘The President of the High Judicial Council shall be elected from among members who are judges’. · Amendment XII.1 should be altered to read: ‘The High Judicial Council shall make decisions by the votes of at least 6 (six) members of the Council’. Amendment III employs the expression ‘Principle of Courts’ instead of the wording ‘Judiciary Principles’ as used in the current Constitution. We believe the expression ‘Judiciary Principles’ is more pertinent and appropriate, especially as this amendment applies not only to courts, but the judiciary in general, court rulings, judges, and lay judges. Another major cause for concern is Amendment III.1, which states that ‘Judicial power shall belong to the courts as autonomous and independent state authorities’. The HJC is of the opinion that the adjective ‘state’ ought to be removed from this definition. The current Constitution does not consider courts to be ‘state authorities’, and as such we see no reason for employing this designation for judiciary bodies alone. The judiciary is, and ought to remain, one of the branches of government; the principle of independence, which assumes freedom from any undue influence, mandates the introduction of an institutional and legislative framework in the Constitution that creates an environment where courts and judges are free from meddling in their affairs by the state, other institutions, or private individuals. Principles of the judiciary should be defined more clearly and systematically, so that a number of introductory articles are utilised to spell out fundamental (institutional and personal) constitutional guarantees regulating the position of courts and judges, rather than having these provisions scattered across the whole chapter. In our view, the proposed Amendments III, IV, and V not only fail to develop constitutional experts’ recommendations, but in many respects fall short of the arrangements envisaged under the current Constitution. Moreover, unlike the current Constitution, the proposal fails to make the distinction between courts of ordinary and those of special jurisdiction. In this regard, in its comments to the current Constitution, the Council of Europe has suggested the existing division should be elaborated on in greater detail. We believe the section governing the principles of the judiciary is the proper location for a provision that would read: ‘Courts shall try cases pursuant to the Constitution, laws, international treaties, and other valid sources of law’, replacing the debatable wording of Amendment IV.1 as proposed. We also believe that Article 143.2 of the current Constitution, which reads ‘The establishment, organisation, jurisdiction, system, and structure of courts shall be regulated by law’, is more appropriate than the wording of Amendment III.3 (‘Courts shall be established and dissolved by the law. The types of courts, jurisdiction, territory of courts and court proceedings shall be regulated by law’). Amendment III.5 states that ‘Court decisions shall be passed in the name of the people’. In practice, this relates to court judgments, so this provision should be made clearer, for instance by changing it to read ‘Court hearings shall be public, and judgments shall be pronounced publicly, in the name of the people’ (or, alternatively, ‘(…) in the name of the Republic of Serbia’). Amendment III.7 would be more correct and complete from a legislative drafting perspective if changed to read ‘(…) and the public may be restricted or excluded from attending [a hearing]’, since some legislation, in particular criminal law, allows judges to hold hearings in chambers. The two paragraphs above could be conflated into one, perhaps titled ‘Openness of Hearings and Judgments’. The wording of Amendment III.6 should be revised due to the use of the term ‘authorised court’ instead of the ‘competent court’ as employed in the current Constitution; in addition, the expression ‘prescribed by the law’ should be replaced by the more correct ‘governed by law’. Finally, if III.9 stipulates that lay jurors are able to take part in a trial, this should not be considered to be ‘in accordance’ with the law: rather, the more appropriate expression ‘as envisaged by law’ ought to be substituted. New wording to replace one questionable provision of Amendment IV.1 has already been put forward above as part of recommendations for Amendment III (‘Courts shall try cases pursuant to the Constitution, laws, international treaties, and other valid sources of law’). The part of the same paragraph envisaging ‘uniformity of jurisprudence’ ought to be deleted, since there has not been comprehensive consideration of all the possible theoretical and practical implications of this provision, for instance whether this would see case law become a valid source of law. This paragraph could perhaps be replaced by a provision reading: ‘Any influence on a judge in the exercise of their judicial office shall be prohibited’. Here one also ought to consider incorporating the paragraph of Article 6 of the Law on the Organisation of Courts that states ‘any influence on the court and parties to proceedings shall be prohibited’. The current Constitution does not stipulate requirements for appointment to judicial office; instead, this is governed by law. This Amendment inconsistently and ambiguously sets out only one condition for appointment (without stating which other conditions the candidate ought also to meet), and only for one group (and not even a category) of courts. We believe the Constitution should not stipulate conditions for appointment at all, so this paragraph should be deleted. If the Constitution is to stipulate requirements, it should then list all the general conditions (citizenship, university degree, bar examination, etc.). In the event that these requirements are laid down, we believe that having completed specific training at a judicial training institution should not be a mandatory requirement for appointment to judicial office at a first-instance court. This is contrary to Item 17 of the Kyiv Recommendations on Judicial Independence, which states that access to the judicial profession should be given ‘not only to young jurists with special training but also to jurists with significant experience working in the legal profession’. If such training is, nevertheless, made a requirement, the training institution must be defined in the Constitution as part of the judiciary (with all the attendant guarantees of independence) and be made independent of the executive (Item 19 of the Kyiv Recommendations). The Constitution should make the HJC responsible for governing the procedure and criteria for selection of candidates for such training, as well as for the appointment of judges selected for judicial office for the first time. The HJC’s responsibilities are currently set out in Amendment VIII. Another open question is whether mandatory training should be envisaged for ‘courts with (…) first-instance jurisdiction’, or whether this requirement should rather apply to candidates appointed to judicial office for the first time. A transitional period must also be provided if this arrangement is adopted. We do not believe that incompetence in the discharge of judicial office should be a constitutional reason for dismissal. The current wording is both imprecise and at odds with international standards (see Recommendation VI (43) of the Council of Europe’s GRECO Committee of 18 October 2017) which stipulates that evaluation of judicial performance should serve the purposes of improving judges’ performance and ensuring career advancement, rather than for imposing penalties. Disciplinary proceedings currently envisage sanctions for many forms of incompetence in the discharge of judicial office (such as needlessly protracting proceedings, failing to prepare rulings in due time, etc. ); serious infringements of discipline are already grounds for dismissal. We feel that the expressions ‘termination of office’ and ‘dismissal’ should not be used concurrently, because judicial office never ‘terminates’ automatically, i.e. by operation of the law: judges are dismissed only pursuant to decisions of the HJC. This is reflected in the proposed powers of the HJC (Amendment VIII.2), which include the HJC’s ability to ‘appoint judges and lay judges and decide on the termination of their tenure’. The word ‘decide’ implies that the HJC is empowered to assess whether conditions have been met for dismissal, or, perhaps more appropriately, whether statutory grounds exist for this, and, if this is the case, to dismiss the judge in question. This is why the word ‘dismissal’ seems more appropriate in all of these situations; legislation should define different procedures depending on the actual grounds for dismissal. In accordance with proposed changes to Amendment IV.4 and 5, Amendment VIII.2 should also be altered to substitute ‘appoint and dismiss judges and lay judges’ for ‘appoint judges and lay judges and decide on the termination of their tenure’. Amendment IV.7 removes robust guarantees for non-transferability of judges currently provided by Article 150 of the Constitution. ‘Reorganisation’ as employed here is not a proper legal term, and does not clearly and precisely define cases in which a judge can be transferred against his or her will. As such, we recommend retaining the current arrangement, whereby a judge can be transferred without consent only in the event their court is abolished or most of its jurisdiction is removed. Amendment V.1 stipulates that a judge or lay judge may not be called to account for an opinion voiced or a vote cast in the course of proceedings before a court, excepting where this constitutes a criminal offence. We propose that this Paragraph be altered to include the wording ‘(…) unless they commit the criminal offence of violation of law by a judge’. Our recommendation is also to change the word order in Paragraph 2, which would now read: ‘No judge may be deprived of liberty in legal proceedings against him/her for a criminal offence committed in the discharge of their office without the approval of the High Judicial Council’. Paragraph 3 contravenes the UN’s Basic Principles on the Independence of the Judiciary and the European Charter on the Statute for Judges. We therefore propose it is altered to read: ‘A judge may not be politically active; legislation shall stipulate the positions or duties deemed incompatible with judicial office’. We feel that the Constitution of Serbia ought to be construed as a single logical unit. Since Article 116 of the current Constitution permits the President of the Republic to stand for office twice, the HJC believes it would be appropriate to allow the same person to twice be appointed President of the Supreme Court of Serbia; this would be the judge who enjoys the greatest trust and confidence of his or her colleagues in the Supreme Court and the judiciary. Moreover, we believe that the term of office of the President of the Supreme Court of Serbia ought to be four years, since this arrangement would also conform to the recently amended Law on Judges. We thus propose that Amendment VII is altered to also extend the terms of office president of other courts to four years, and to allow them to be re-appointed once, for a total of two terms. In accordance with the arrangement proposed above for court presidents, we believe the term of office of members of the HJC should also be four years, and that they should also be allowed to stand for re-appointment once. We should like to point out that this solution is found in all jurisdictions in the region. Amendment VIII.1 defines the High Judicial Council as an autonomous and independent ‘state’ body that ‘ensures’ the autonomy and independence of courts. A careful analysis of this provision reveals a number of proposed changes to the current Constitution. The HJC is here said to be a state body, which, in the opinion of the HJC, weakens its independence. The current Constitution does not define the nature of the power exercised by the HJC, as it is not entirely certain whether the Council is a judicial body or a public authority. It is not clear what the intent of the proponent was in defining the HJC as a ‘state body’, nor does the proposal contain any rationale for this. The HJC, as the highest judicial authority, should not be designated as a ‘state body’, since the HJC must differ from other traditional public authorities or the Constitutional Court, which is a sui generis public authority that is not part of the judicial system. As such, the Constitution must define the HJC as the highest judicial authority; this arrangement is found in other European constitutions. It would here be pertinent to ask the question whether this allows any changes to be made to the Council, e.g. whether the HJC could be a judicial and administrative body in a narrower sense. Further, the HJC believes that the word ‘ensures’ is not appropriate, and ought to be replaced by the wording used in the current Constitution, ‘guarantee’ or ‘safeguard’, especially as ‘ensure’ could be construed as being synonymous with these. The use of ‘guarantee and safeguard’ as substitutes for ‘ensure’ would confer immeasurably more independence and autonomy on courts and judges. In view of the above, and as modern legal theory comprises judges as well, we recommend that the words ‘and judges’ be added after ‘courts’. Judicial power remains incomplete and unprotected unless both its institutional and individual components are guaranteed and safeguarded by the Constitution. The definition of the HJC as provided in Article 153.1 of the current Constitution is more comprehensive and precise, and better reflects the character of this body, than the definition proposed in the present Amendments. The current definition is thus superior and ought to be retained in any future Constitution of Serbia. Enacting the proposals of Amendment VIII.2 as they stand now will not broaden the powers of the HJC as envisaged under the 2013-2018 National Judicial Reform Strategy, Chapter 23 Action Plan, and Law on the Organisation of Courts (Official Gazette of the Republic of Serbia, Nos. 116/08 to 113/17, entry into effect deferred to 1 January 2019). Instead, this body’s remit will have been circumscribed, and the views harmonised in the above documents will have been abandoned. Amendment VIII.2 includes the wording: ‘propose to the Government the amount of funds required for the work of courts in matters within its competence’. As defined here, this aspect of the HJC’s remit does not enhance its capacity. We feel the HJC must have its own budget, and that the proposed arrangement is contrary to recommendations of the Council of Europe’s bodies. The HJC must itself determine the amount of funds needed by courts, rather than merely proposing these to the Government. We recommend that the HJC, being a direct beneficiary of budget funding, ought to independently set the amount of funds required by courts and judges. The exhaustive list of HJC’s powers given in this Amendment (first and foremost, appointing and dismissing the President of the Supreme Court of Serbia and presidents of other courts, and appointing judges and lay judges and deciding on the termination of their office) restricts options for regulating this issue more comprehensively by legislation. This view is reinforced by the provision of VIII.1, whereby the HJC exercises its function ‘by deciding on the issues of the status of judges, presidents of courts and lay judges determined under the Constitution and the law’. The HJC will, therefore, be unable to successfully guarantee judicial independence and autonomy unless the Constitution assigns it other key duties in addition to those listed above. This is also highlighted in Opinion No. 10 (2007) of the of the Consultative Council of European Judges. Extend the remit of the HJC to include, in addition to the powers cited above, making decisions on the disciplinary accountability of judges, as envisaged by law, education and professional development of judges, and judicial ethics; issuing opinions on draft laws and byelaws that pertain to courts and judges; and dealing with matters concerning the reputation of judges, international co-operation, and public accountability. Amendment VIII.3 is unacceptable to the HJC. This provision, which stipulates that the Minister of Justice, an officer of the executive power, may bring disciplinary proceedings against judges and court presidents and initiate procedure for their dismissal, is not found in the constitutions of most democratic societies. A more constructive approach would be to make the HJC solely responsible for disciplining judges (Opinion CDL-AD(2013)014 of the Venice Commission). We recommend that the Minister of Justice be completely excluded from decision-making in disciplinary procedures against judges (Opinion CDL-INF(1998)009 of the Venice Commission). Under the current rules, disciplinary proceedings are brought by the disciplinary prosecutor, whilst the HJC is responsible for initiating procedure for dismissal. Any individual may seek the dismissal of a judge, although, admittedly, a motion to dismiss made by the Minister of Justice would carry much more weight. Provisions governing the immunity of HJC members should be amended in the same way as those concerning the immunity of judges. Our recommendation is also for Paragraph 2 to read: ‘No member of the High Judicial Council may be deprived of liberty in legal proceedings against him/her for a criminal offence committed in the discharge of their office without the approval of the High Judicial Council’. We again welcome proposals to remove Parliamentary responsibility for first-time appointment of judges, eliminate ‘trial’ terms in office, and exclude the appointment of court presidents and members of the HJC. Nevertheless, the proposed composition and decision-making rules of the HJC are quite controversial and constitute a retrograde step for the independence of the judiciary in Serbia. This proposal allows the legislative and executive to exert a preponderant influence in decision-making on all rights of courts and judges. This dominance of the legislative and executive power is particularly evidenced in Amendments IX, XI, and XII. Selecting the President of the HJC from amongst the Council’s non-judge members and his or her casting vote both contravene Opinion No. 10 (2007) of the Consultative Council of European Judges on the composition of councils for the judiciary, which states that judges should form the majority in a mixed council. The proposed arrangement undermines the role and significance of judges serving on the HJC, the supreme judicial authority: as the President of the HJC stated in an interview, ‘the judges would serve only to provide numbers for the decision-making quorum’. This would prevent the HJC from continuing to serve as the guarantor of the autonomy and independence of courts and judges. · Organise public consultation to a longer schedule than has been the case to date.